Baby Darrow is the son of Oliver Darrow and Minnie Juliet Bagwell. William Henry Bagwell was born on 28 April 1903 in Gainesville, Hall County, Georgia. He was the son of William Henry Bagwell and Jippa Jane Wingo. William Henry Bagwell died on 28 March 1980 in Nashville, Davidson County, Tennessee, at age 76. [S1544] United States Federal Census, Washington, District of Columbia, Population Schedule: Wilsons, Hall, Georgia; Enumeration District: 136; Supervisor District: 1; Page: 97A, Dwelling: 77, Family Number: 79, Date: 1880. [S1546] United States Federal Census, Washington, District of Columbia, Population Schedule: Goodwin, Gwinnett, Georgia; Page: 3A, Dwelling: 220, Family Number: 224, Date: 1870. [S1547] John M. Bagwell Grave Stone, Find a Grave, www.findagrave.com. [S1548] Ada V. Bagwell Grave Stone, Find a Grave, www.findagrave.com. Nancy E. Bagwell was born in 1874 in Georgia.1 She was the daughter of William Bagwell and Martha E. A. Blackstock.1 As of before 1921,her married name was Dooley. Nancy E. Bagwell married (?) Dooley before 1921. Nancy E. Bagwell lived in 1921 in Paris, Texas. [S333] United States Federal Census, Washington, District of Columbia, Population Schedule: Brannen, Coffee, Alabama, Emuneration District: 44, Supervisor District: 3, Sheet: 12A, Dwelling: 188, Family Number: 188, Date: 1900. [S650] Elizabeth Bryan Grave Stone, Find a Grave, www.findagrave.com. Elias Liniar Bryan was born on 15 June 1887 in Alabama.1 He was the son of Elias Dozer Bryan and Ellen Jane King.1 Struck by lightning twice while farming.2 Elias Liniar Bryan died on 9 May 1979 in Elba, Coffee County, Alabama, at age 91. Shelby Arcus Bryan was also known as Arcus Bryan. He was born on 5 August 1895 in Elba, Coffee County, Alabama.1,2 He was the son of Elias Dozer Bryan and Ellen Jane King.1 Shelby Arcus Bryan married Sarah Victoria Kilcrease circa 1917.2 Shelby Arcus Bryan died on 2 March 1959 in Coffee County, Alabama, at age 63. [S643] Alabama Registration Location: Coffee County, WW I Draft Registration Card: S Arcus Bryan, Roll: 1509370; Draft Board: 0. [S645] United States Federal Census, Washington, District of Columbia, Population Schedule: Bullock and Host, Crenshaw, Alabama; Emuneration District: 21-16, Supervisor District: 10, Sheet: 4A, Dwelling: 74; Family Number: 74, Date: 1930. [S644] Alabama Registration Location: Coffee County, WW I Draft Registration Card: Roscus Bryan, Roll: 1509370; Draft Board: 0. [S646] A Roscus Bryan Grave Stone, Find a Grave, www.findagrave.com. [S647] Willie V Bryan Grave Stone, Find a Grave, www.findagrave.com. Henry Dozier Bryan was born on 17 October 1905 in Coffee County, Alabama.1 He was the son of William Granberry Bryan and Minnie Vester Smith.1 Henry Dozier Bryan married Lucile Hudson on 10 October 1926 at Coffee County, Alabama. Henry Dozier Bryan died in January 1988 in Elba, Coffee County, Alabama, at age 82. [S336] United States Federal Census, Washington, District of Columbia, Population Schedule: Branon, Coffee, Alabama, Emuneration District: 48, Supervisor District: 3, Sheet: 3A, Dwelling: 37, Family Number: 37, Date: 1920. Lucile Hudson was born on 23 December 1908 in Coffee County, Alabama. As of 10 October 1926,her married name was Bryan. She married Henry Dozier Bryan, son of William Granberry Bryan and Minnie Vester Smith, on 10 October 1926 at Coffee County, Alabama. Lucile Hudson died on 15 April 1993 in Coffee County, Alabama, at age 84. Joseph William Benjamin Bryan was born on 5 September 1918 in Coffee County, Alabama. Joseph was left on William (Wiley) Granberry Bryan's doorstep. 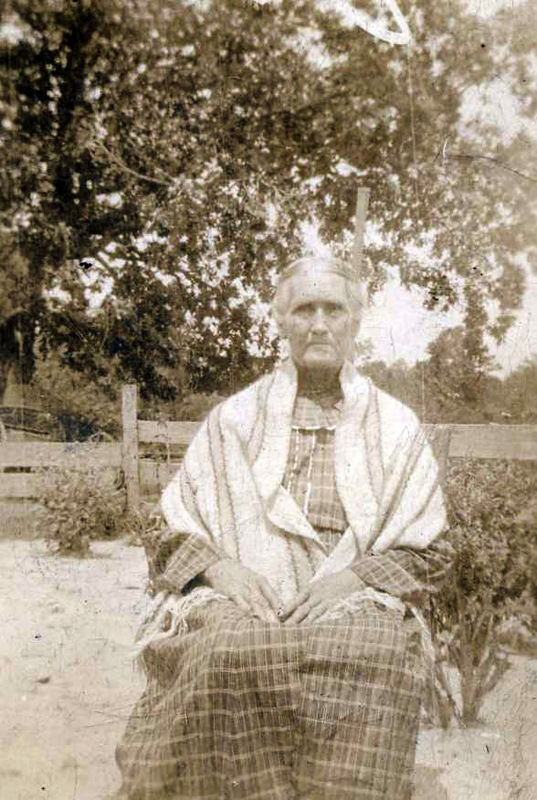 It was assumed that is was William Granberry Bryan's child but the mother was not Minnie Smith (William's wife). Family rumor that the mother was one of William Bryan's other women.1 He was the son of William Granberry Bryan and Minnie Vester Smith. Joseph William Benjamin Bryan married Mattie (?) Joseph William Benjamin Bryan married Sue (?) 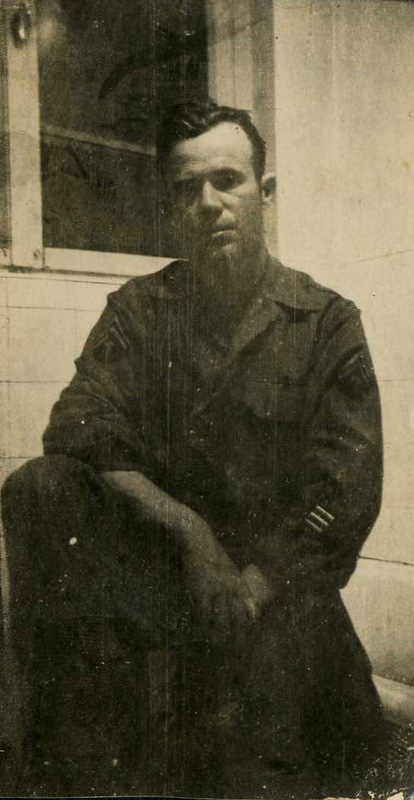 Joseph William Benjamin enlisted in the US Army in 25 January 1943 at Fort McClellan, Alabama during World War Two. He died on 26 December 1990 in Elba, Coffee County, Alabama, at age 72. He was buried at Evergreen Cemetery, Elba, Coffee County, Alabama. Bethel Laneston Bryan was born on 27 May 1828 in Georgetown County, South Carolina.1 He married Elizabeth Russell in 1850 at Coffee County, Alabama. Bethel Laneston enlisted as a private in Company K, 3rd Alabama Infantry Regiment (CSA). 3rd Regiment, Alabama Infantry was organized by Colonel J.M. Withers in April, 1861, at Montgomery, Alabama. Men of this unit were recruited in the cities of Mobile and Montgomery, and the counties of Man, Lowndes, Coosa, and Autuaga. The first Alabama command sent to Virginia, it was mustered into Confederate service at Lynchburg and totalled 1,000 men. It served in the Department of Norfolk, then was assigned to Rodes', O'Neal's, and Battle's Brigade, Army of Northern Virginia. The Third Alabama Infantry was organized at Montgomery in April 1861, and was the first Alabama command to be sent to Virginia. The unit was ordered to Norfolk to guard the Naval Yards and surrounding areas, which were considered the most probable point of Northern attack. They spent the next year in inactivity and thus missed the Battle of First Manassas, Va. much to the chagrin of the members. In April 1862, Union General George McClellan attacked Yorktown and kicked of the Peninsula Campaign. The 3rd was ordered to join the Army of Northern Virginia, and was assigned to Mahone’s Brigade, which included the 1st and 12th Va Infantry. It was engaged at Seven Pines and two weeks later, it was assigned to Robert Rode’s Alabama Brigade consisting of the 5th, 6th, 12th, 26th, and later 61st Alabama Infantry. They were thrown into the fighting during the Seven Day’s Battles and earned the dubious distinction of suffering the most casualties (207 of 345 men and officers) of any Confederate regiment at the Battle of Malvern hill. When Robert E. Lee’s army marched north in September 1862, the Third Alabama, was part of Stonewall Jackson’s “Foot Cavalry”, had the honor of being first regiment to cross the Potomac River and set foot on Northern soil. The Third was near the center of line in the Sunken Lane at Sharpsburg (“Antietam”) and later distinguished itself in the fighting at Chancellorsville during Stonewall Jackson’s flank move. While under the brigade command of Col. Edward O’Neal, the unit saw bloody action on the first day of the advance on Gettysburg and on the third day at Culp’s Hill, while temporarily attached to Genl Johnson’s Division. It also participated in fighting at the Wilderness, Cold Harbor, the Campaign in the Shenandoah Valley, Cedar Creek and many small engagements in between. The Petersburg Siege dwindled away its ranks until Appomattox Court House, when approximately 40 men surrounded. [S651] Bethel L. Bryan Grave Stone, Find a Grave, www.findagrave.com. [S334] United States Federal Census, Washington, District of Columbia, Population Schedule: Brannen, Coffee, Alabama, Emuneration District: 44, Supervisor District: 3, Sheet: 12A, Dwelling: 190, Family Number: 190, Date: 1900. [S1355] Odis Driggers Grave Stone, Find a Grave, www.findagrave.com. [S1357] Johnny F. Driggers Grave Stone, Find a Grave, www.findagrave.com. [S337] United States Federal Census, Washington, District of Columbia, Population Schedule: Darbys, Pike, Alabama, Emuneration District: 157, Supervisor District: 2, Sheet: 7B, Dwelling: 137, Family Number: 139, Date: 1920. [S338] United States Federal Census, Washington, District of Columbia, Population Schedule: Darbys, Pike, Alabama, Emuneration District: 55-11, Supervisor District: 11, Sheet: 7A, Dwelling: 120, Family Number: 128, Date: 1930. [S342] James T. Watkins Grave Stone, Find a Grave, www.findagrave.com. [S339] Alabama Registration Location: Pike County, WW I Draft Registration Card: Thomas Norman Watkins, Roll: 1509436; Draft Board: 0. [S343] Kate S. Watkins Grave Stone, Find a Grave, www.findagrave.com.